Fresh off a $29 million renovation, Le Méridien New Orleans offers a contemporary hotel experience with 410 guestrooms flaunting dynamic designs inspired by New Orleans’ culture and geography. Three new restaurants and bars present a global perspective on the local cuisine. Amenities include a rooftop pool, 24-hour fitness facility, in-room dining and complimentary morning coffee. Explore the local culture through the hotel’s Unlock Art programme with complimentary access to three art museums. The hotel is located steps from the French Quarter and Warehouse Arts District. 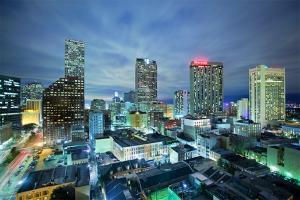 Located just 30 minutes from the Louis Armstrong International Airport.